The 1st real homemade Nspire dock connector with all 26 wires. Nice! Perhaps even multiplayer games via ndless 3 once released? EDIT: Also, why is that bottom part of that picture 'censored'? 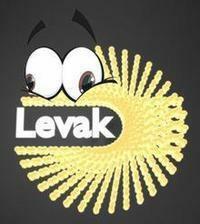 I think the upload on Levak's server did fail on that file. EDIT: Didn't catch the extra images. Looks simple considering I have a breadboard and a huge collection of LEDS and wires. This is cool! O.o Just I don't have a nSpire! Where do you see an Arduino ? now connecting earphone using that somehow? very posible and quite easy to do, actually. But that is just what we want! Very nice! I love all of the different color wires! Page created in 0.854 seconds with 62 queries.